Top Rated Local® is pleased to announce that Range Urgent Care is the number one urgent care center in all of North Carolina for 2019! When you need fast, professional medical care in Asheville, there’s no better urgent care center to turn to than Range Urgent Care. Range Urgent Care has received hundreds of reviews on three verified sites with an average rating of 4.89 stars, earning them a tremendous Rating Score™ of 94.92 and a 2019 Top Rated Local award for being ranked the number one urgent care center in all of North Carolina! “I went to Range this past weekend after I badly stubbed my toe and needed urgent care. I was very impressed with them, from the intake process all the way through payment. They were very responsive and immediately ran to help me as I came in. The employees were all compassionate and also explained each procedure and got consent before they proceeded. The office had impressive technology, and the facility was very well organized, neat and clean. 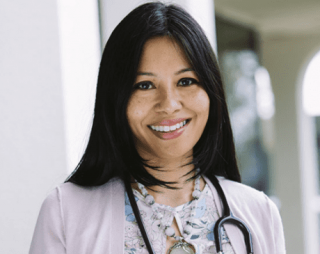 This is the best urgent care I’ve ever visited.” – Caroline L.
Mathew Trowbridge PE, MBA, CEO and co-founder, and Stephanie Trowbridge MD, Medical Director and co-founder, generously gave us a few minutes of their time to tell us a little more about Range Urgent Care and its incredible online reputation. They went on to tell us that they offer hydration therapy, which is great for hangovers, and that they have gone off-site in the past to help party-goers after a big night out. Even though Range Urgent Care has only been open since November of 2017, they already have more than 400 reviews. Mathew and Stephanie attribute Range Urgent Care’s strong online reputation to the fact that they always prioritize their patients, respecting their patients’ time and money through the service they offer. Outside of building a powerful online reputation, Range Urgent Care has gotten their name out there through radio ads and billboards, but according to Matthew, they tend to shuffle through different marketing avenues. Congratulations to the team at Range Urgent Care for being a 2019 Top Rated Local award winner, and thank you so much, Mathew and Stephanie, for taking the time to speak with us! We highly recommend Range Urgent Care in Asheville. Visit their website today! Top Rated Local® is pleased to announce that Masonboro Urgent Care is a 2019 award winner for urgent care centers in North Carolina! If you are in need of an urgent care center in the Wilmington area, don’t hesitate to stop by Masonboro Urgent Care. Masonboro Urgent Care has over 100 reviews on 4 verified sites with an average rating of 4.48 stars earning them a fantastic Rating Score™ of 87.79 and a 2019 Top Rated Local award for being one of the top 10 urgent care centers in the entire state of North Carolina. “I’ve recently moved back to the Wilmington area after 10 years elsewhere, and started feeling pretty sick soon after. I went to Masonboro Urgent Care due to the proximity to my house, and was pleasantly surprised. The early online check-in is great, and the folks that work here are very nice and helpful. They’re very polite, cheerful, and make you feel comfortable and welcome. I’ll definitely revisit this location if need be, and recommend it to others.” – Daniel T.
We took a few minutes to speak with Trisha, office administrator of Masonboro Urgent Care, to learn a little bit more about the business and how they managed to build such an impressive online reputation. Outside of simply building a strong online reputation to grow the business, Masonboro Urgent Care tries to use every available marketing channel. Both digital and word of mouth have helped spread their phenomenal reputation. Congratulations to the team at Masonboro Urgent Care for being a 2019 Top Rated Local award winner, and thank you so much, Trisha, for taking the time to speak with us! Learn more about this business online today. 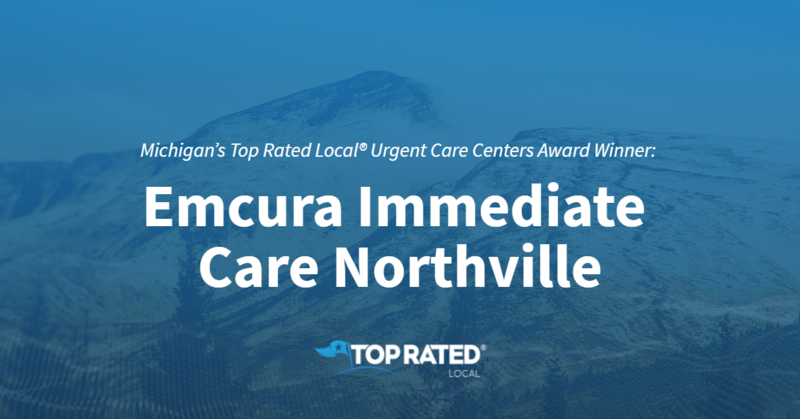 Top Rated Local® is pleased to announce that Emcura Immediate Care Northville is a 2019 award winner for urgent care centers in Michigan! When you need urgent care, there’s no better option than Emcura Immediate Care Northville. Emcura Immediate Care has received hundreds of reviews on three verified sites with an average rating of 4.91 stars, earning them a fantastic Rating Score™ of 95.06 and a 2019 Top Rated Local award for being ranked the number one urgent care center in all of Michigan! Manish Kesslicker, Medical Director of Emcura Immediate Care Northville, generously gave us a few minutes of his time to tell us a little more about his award-winning business and its stand-out online reputation. Manish told us that he practices alongside his wife, Dr. Supak Sookkasikon, and that they’ve both been practicing for more than 10 years now. 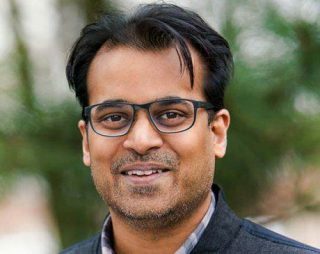 And when we asked him what sets Emcura Immediate Care apart from the other urgent care centers in Michigan, Manish told us that they take a hybrid approach to health, and that they will use holistic treatments whenever possible rather than just relying on antibiotics. Another thing that sets Emcura Immediate Care apart is that they offer more accurate testing, comprehensive care, IV fluids and a lot of things that their competitors don’t. We also asked Manish what their mission is at Emcura Immediate Care and how they work to make the world a better place. He told us that their mission is population wellness — to get their community healthy and to get people engaged in their health by giving them the tools they need. Manish credits Emcura Immediate Care’s strong online reputation to the personalized care they provide. As academic providers, they take the time to teach their patients what is causing the problem and how to prevent it. Outside of building a powerful online reputation Emcura Immediate Care has gotten their name out there by doing a lot of community functions, including hands-on learning interactions with kids in the community to educate them on their health. Congratulations to the team at Emcura Immediate Care Northville for being a 2019 Top Rated Local award winner, and thank you so much, Manish, for taking the time to speak with us! We highly recommend Emcura Immediate Care Northville and their other location in Bloomfield Hills. Visit their website today! Top Rated Local® is pleased to announce that Southern Family Urgent Care is an award winner for urgent care centers in 2019. If you are looking for an urgent care center that will treat you like family, look no further than this award-winning company! Southern Family Urgent Care has received many overwhelmingly positive reviews across five different verified sites with an average rating of 4.63 stars, earning them an impressive Rating Score™ of 96.28 and a 2019 Top Rated Local award for ranking as one of the top 100 businesses and one of the top three urgent care centers in all of Mississippi! “I have had only wonderful experiences with them! I bring my children here when they get sick since it’s quicker than getting an appointment with their primary. My fiancé and I always choose to use them for our medical care. The staff is so friendly and welcoming. I HIGHLY recommend them!” – J.P. It is because of excellent reviews like this that Southern Family Urgent Care is now able to call themselves a Top Rated Local award winner! We were excited to learn all about how Southern Family Urgent Care has been able to build such an impressive reputation, so we sat down with the owner and Nurse Practitioner, Mandy. Southern Family Urgent Care has certainly built a stellar online reputation, so we were shocked to hear Mandy tell us that they had never done any marketing! Word of mouth referrals and stellar reviews have kept the clients coming, and from the look of the reviews, Southern Family Urgent Care has lived up to the hype. Congratulations to Southern Family Urgent Care for being a 2019 Top Rated Local award winner, and special thanks to Mandy for taking the time to speak with us! Top Rated Local® is pleased to announce that Medallus Urgent Care is a 2019 award winner for urgent care centers in North Dakota! For an array of medical services with a proven track record, we recommend visiting Medallus Urgent Care in Jamestown, North Dakota. Medallus Urgent Care has received many reviews on verified sites with an average rating of 4.70 stars, earning them an incredible Rating Score™ of 87.00 and a 2019 Top Rated Local award for ranking among the top 10 urgent care centers in all of North Dakota! “Excellent experience! [They have a] very friendly and personable staff. [It was] easy to get an appointment without having to wait months to get in like at other clinics. [The] staff seemed to genuinely care, and my experience was more personal than other clinics. [I would] definitely recommend [them]. [It is] also great that they make services affordable!” -MacKenzie H.
We wanted to learn a little more about this award-winning business and its impressive online reputation, so we took a few minutes to talk with Terry Miller, the regional operations manager at Medallus Urgent Care. Outside of building a powerful online reputation, Medallus Urgent Care has gotten their name out there through digital marketing and onsite clinics where they partner with larger corporations. Congratulations to the team at Medallus Urgent Care for being a 2019 Top Rated Local award winner, and thank you so much, Terry, for taking the time to speak with us! Visit their website here! 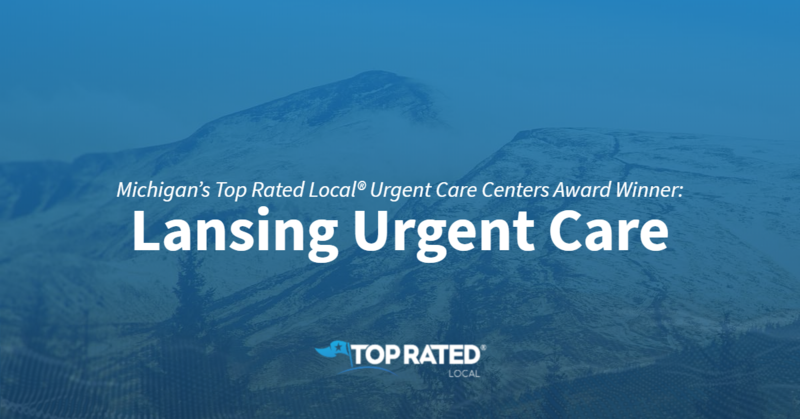 Top Rated Local® is pleased to announce that Lansing Urgent Care is a 2019 award winner for urgent care centers in Michigan! Should you ever find yourself in the middle of a medical dilemma, we suggest you seek comfort at Lansing Urgent Care. Lansing Urgent Care has received over 100 reviews on five verified sites with an average rating of 4.67 stars, earning them a phenomenal Rating Score™ of 96.75 and a 2019 Top Rated Local award for ranking among the top 10 urgent care centers in all of Michigan! “[I] brought my daughter in for a sore throat. [We] signed-in online, arrived at the scheduled time and got right in. The staff was super friendly and we were in and out quickly. [I] absolutely recommend this place. They have great hours, too.” -C.S. We wanted to learn a little more about Lansing Urgent Care and its impressive online reputation, so we took a few minutes to talk with Madison Earl, Marketing and Business Coordinator. “You know, whenever you have to go to urgent care, it’s never because you felt like dropping in to see an old friend. Okay, well, sometimes it might be, but generally it’s because there’s an urgent (or perceived urgent) need.What’s not typical is when you leave the clinic with a positive feeling of care and assurances you’re on the mend. I suppose then, that Lansing Urgent Care in Dewitt isn’t typical because they provide both exceptional care and give you a true sense of assurance that you’re leaving with a direction…. [They] know what is necessary to treat your condition and get back on track. In addition to the care, the facility is spacious and clean. Thank you for your care.” -Thomas S.
It is obvious that Lansing Urgent Care is doing good and honorable work by choosing to offer some of the best medical care to its patients! Congratulations to the team at Lansing Urgent Care for being a 2019 Top Rated Local award winner, and thank you so much, Madison, for taking the time to speak with us! Visit their website here! 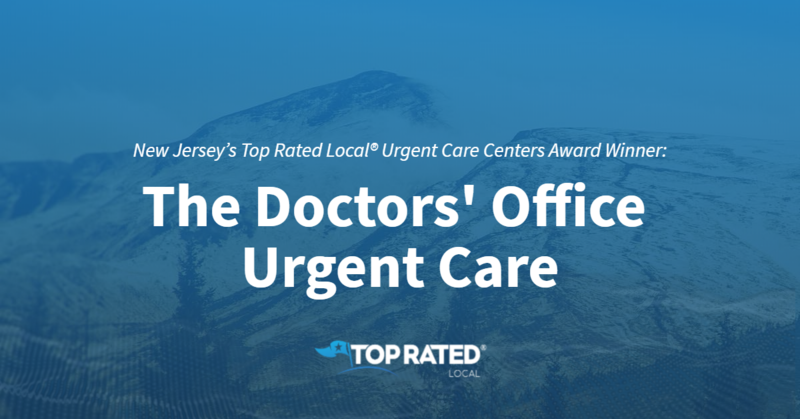 Top Rated Local® is pleased to announce that The Doctors’ Office Urgent Care is a 2019 award winner for urgent care centers in New Jersey! When you need professional, compassionate last-minute care, there’s no better option than The Doctors’ Office Urgent Care in Midland Park. The Doctors’ Office Urgent Care has received hundreds of reviews on three verified sites with an average rating of 4.63 stars, earning them a fantastic Rating Score™ of 92.35 and a 2019 Top Rated Local award for ranking among the top 10 urgent care centers in all of New Jersey! “[I’m] very impressed! I was seen on time (I had made an appointment online). Everyone was friendly, professional and efficient. The doctor very clearly explained what he was prescribing. I highly recommend this place and will gladly return if my doctor is not available in the future.” – Janet S.
Annette Leach, office manager at The Doctors’ Office Urgent Care, generously gave us a few minutes of her time to tell us a little more about this award-winning business and its impressive online reputation. We also wanted to know what their mission is at The Doctors’ Office Urgent Care and how they work to make the world a better place. Annette credits The Doctors’ Office Urgent Care’s strong online reputation to their accreditation, their efficient service — their goal is to have patients out in fewer than 35 minutes — and to their team of doctors, physicians and medical assistants, who are all certified. Outside of building a powerful online reputation, The Doctors’ Office Urgent Care has gotten their name out there by handing out flyers and business cards, as well as by going to meetings with the Chamber of Commerce. Congratulations to the team at The Doctors’ Office Urgent Care for being a 2019 Top Rated Local award winner, and thank you so much, Annette, for taking the time to speak with us! We highly recommend The Doctors’ Office Urgent Care in Midland Park. Visit their website today! Top Rated Local® is pleased to announce that Lifetime Urgent Care is an award winner for urgent care centers in 2019. If you are looking for an urgent care center who takes pride in their clean and inviting atmosphere, look no further than this award-winning company! Lifetime Urgent Care has received many overwhelmingly positive reviews across three different verified sites with an average rating of 4.64 stars, earning them an impressive Rating Score™ of 92.43 and a 2019 Top Rated Local award for ranking as one of the top 10 urgent care centers in Michigan! “This place is incredible! I was seen by a doctor in less than 20 minutes. The doctor was unbelievably caring and thorough. The medical assistants were kind and helpful. And, to top it all off, there is a pharmacy with an amazing pharmacist right there. I was on my way home, with my prescriptions, in no time at all. This is how urgent care is supposed to work!” – Deanna R.
It is because of excellent reviews like this that Lifetime Urgent Care is now able to call themselves a Top Rated Local award winner! Lifetime Urgent Care believes in working one patient at a time and wants to help everyone to the best of their abilities. They believe in going the extra mile to make sure they are setting people up to live their healthiest lives. In addition to getting clients through word of mouth referrals and the many excellent reviews left by happy patients, Lifetime Urgent Care advertises on the radio and television. They also work together with a marketing firm to help them with Google Adwords. Congratulations to Lifetime Urgent Care for being a 2019 Top Rated Local award winner, and special thanks to Wade for taking the time to speak with us! 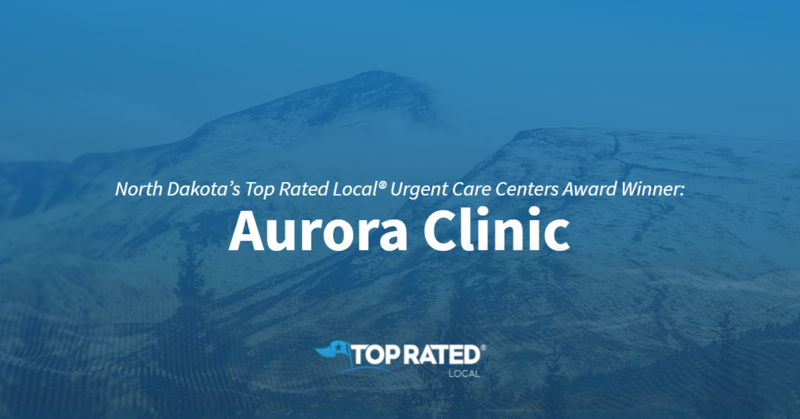 Top Rated Local® is pleased to announce that Aurora Clinic is a 2019 award winner for urgent care centers in North Dakota! If you’re looking for professional, compassionate medical care in Grand Forks, look no further than Aurora Clinic. Aurora Clinic has received dozens of reviews with an average rating of 4.69 stars, earning them spectacular Rating Score™ of 90.89 and a 2019 Top Rated Local award for being ranked the number one urgent care center in all of North Dakota! “[I] always come here for sicknesses and emergencies! 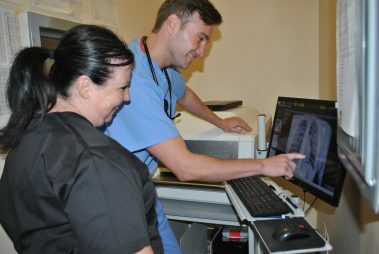 [I] love the staff, and [there’s] never a long wait!” – Amy T.
We wanted to learn a little more about the business and their impressive online reputation, so we took a few minutes to talk with Mandy Bazey, a nurse at Aurora Clinic. When asked about Aurora Clinic’s secret to such a strong online reputation, Mandy points to the fact that patient satisfaction is their number one priority. 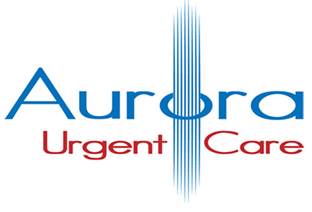 Outside of building a powerful online reputation, Aurora Urgent Care has grown through word of mouth. Congratulations to the team at Aurora Clinic for being a 2019 Top Rated Local award winner, and thank you so much, Mandy, for taking the time to speak with us! We highly recommend Aurora Clinic when you need medical care in Grand Forks. Visit their website today. 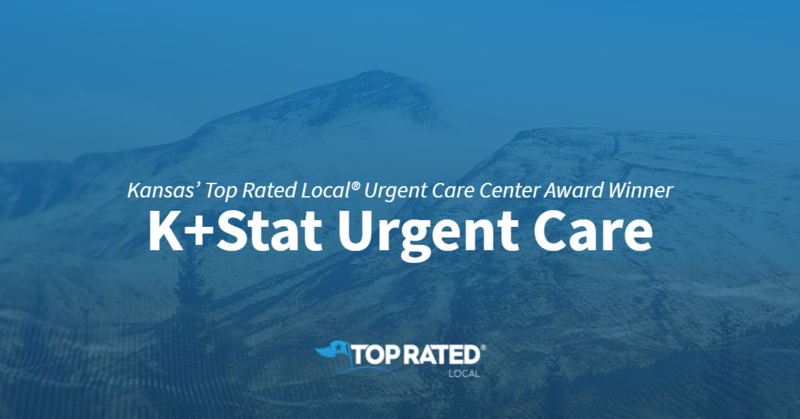 Top Rated Local® is pleased to announce that K+Stat Urgent Care is a 2019 award winner! With an 88.74 Rating Score™, a 4.57 average star rating, and nearly 200 reviews on verified sites, K+Stat Urgent Care is one of the top five urgent care centers in the entire state of Kansas! “[They are] very fast and efficient. The staff was friendly, the facility was clean, and they got me in and out super fast. I was visiting from out of town and the whole visit and x-ray [only took] 30minutes, so, having an injury diagnosed didn’t put a damper on our vacation and I really appreciated that! Thank you for providing such a great service!” – Rebekah B.
Dave Lantz, the office manager of K+Stat Urgent Care, took some time to speak with us about the business’ terrific online reputation. Congratulations to the team at K+Stat Urgent Care for being a 2019 Top Rated Local award winner, and thank you so much, Dave, for taking the time to speak with us!